I grew up with these techniques with a Greek/Italian background and have been blessed to have studied and trained for many years in the field. My professional field of Conscious Design and Real Estate has brought me hundreds of clients – with issues ranging from illness, negative luck, houses that refuse to sell, romance problems, children out of sorts.. Space Clearing has been a vital part of the process, and I have seen the value of it. That is why the Conscious Design Institute has created an intensive and integral certification program in Space Clearing. In Spring 2019 our classes will be taught by myself, Sandy Humby, and Sam Tso Navajo Medicine Man to share knowledge, experience and wisdom with us. Guest instructors are invited in occasionally to offer depth to the program. We will offer lots of practice, on-site, personal, remote and map clearing. The Certification will consist of a series of 12 Classes, 2 On Site Consultations, Graduation ceremony, independent work and mentoring. Reading and Independent work/projects will be required. Map and Remote work will be required. We want to equip you with a lot of knowledge, practice, and support. Registration fee of $60.00 is required and non- refundable and will enroll you as a Certificate student. If you cannot complete the course this session Spring 2019, you can pick up classes in the next session, spring 2020 sessions. Required is signing our student ethics and promise. At any time, the student can discontinue the program And those class hours will be retained in our records for the future. Learning various techniques from different cultures, countries and ancient knowledge & lots of practice. You will resonate to your own style and system, as we learn and unfold the various techniques out in the world. It is all about cleansing space and allowing fresh, new balanced energy to embrace health, wealth and happiness. 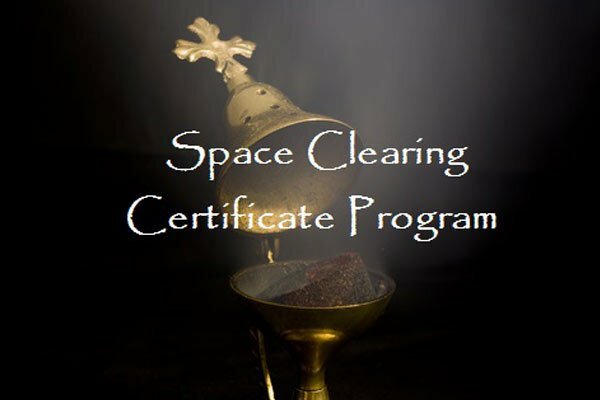 This course will certify you as a professional space clearing consultant. It is a very unique calling, and one that “calls you”. Conscious Design Institute recognizes the extreme value of this art and science and is proud to present this program in our quest to make the world a sounder, safer space for all. This Course will provide you with a Certificate in Space Clearing designating you a professional. You will also receive 9 Conscious Design Mastery Credits towards our Mastery designation.